Verses that include the Divine attributes were considered by early believers as allegorical such as, “God, Most Gracious is firmlyestablished on the throne” (TA-HA, 5), “Everything that exists will perish except His Own Face” (QASAS, 88), “..and this in order that thou mayest be reared under Mine eye” (TA-HA, 39), “The Hand ofGod is over their own hands” (FAT-H, 10),“..and the heavens will be rolled up in His Right Hand”(ZUMAR, 67). The Hadith that included Divine Attributes was also considered allegorical, as for instance, (Allah laughed, Allah was surprised, Allah was glad, Allah descends). 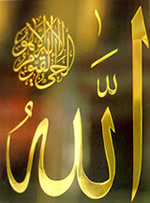 The consensus of opinion of the four Imams as well as Sophian El-Thawry, Ibn El-Mubarak, Ibn ‘Uyana, and Wakee‘ was that one should believe inthe attributes and assign the cognition of meaning to Allahandabandon interpretation, and believe that Allah is too Exalted fortheir true meaning because it is impossible to make an analogy betweenAllah and any created being. This accords with what Om Salama, may Allah be pleased with her, said while interpretingthe following Quranic verse, “God, Most Gracious is firmly establishedon the Throne”, she said, “the modality is illogical, the establishmentis not unknown, recognition of it stems from Faith, and its repudiationis atheism”. Muhammad Ibn Al-Hassan said, “The Scholars agreed to believe in the attributes without interpreting or analogizing”. Many Scholars said, “We have to follow the early believers as they forbade discussions of themeaning of these verses”. Among these Scholars are Imam Ibn Taymeyah, ImamIbn El-Qayem and many others. Imam Razy said, “The early scholars, alongwith their successors agreed that we should abandon interpretations afterproving the impossibility to interpret the word by its literal and surfacemeaning”. Another Sunna sect interpreted the verses and the Prophetic Hadithin a way that suits Allah’s Exalted Self and deemed Him far aboveits reality. Yet some of the late scholars persisted in disputes to the extent that some of them declared others to be atheists. This is turmoil and we pray to Allah to guard us against it and guide us to the right way. He shows whom he wishes the straight way. In the Qur’an there are certain verses in which acts of Allah had been mentioned such as, (Allah is Well-Pleased with them, the Wrath and the Curse of Allah are upon him, they followed that which called forth the Wrath of Allah, the aversion of Allah). Some said, “These attributes are true in the perfect way that suits Him and does not resemble His creatures’ attributes. He never needs anything”. Others said, “These are not attributes of Allah and they shouldnot be ascribed to Him; names should not be derived from these attributesbut they are Divine Acts that have deep meanings far above any literalinterpretations. For instance, satisfaction denotes reward; wrath and indignationare denotative of retribution”. Another example is the verses in which some Divine Attributes were mentioned such as, “And thy Lord cometh and His angels rank upon rank” (FAJR, 22), “Will they wait until God comes to them in canopies of clouds, with angels in His train andthe question is thus settled” (BAQARA, 210). The first group said that in these verses there is a proof of two attributes related to Divine Acts, namely, the attributes of coming and showing up. According to the Sunna we should believe in all theseattributes and avoid interpretations which inevitably lead to atheism. The second group said that Allah brings torture in the clouds where Mercy was expected, so torture in this case would bemore severe and cruel, as what happened in the case of the people of ‘Ad,as mentioned in the verse, “Then when they saw the penalty in theshape of a cloud traversing the sky, coming to meet their valleys, theysaid ‘This cloud will give us rain!’ Nay it is the calamity ye were askingto be hastened! a wind wherein is a Grievous Penalty” (AHQAF, 24). It was also said that the Prophet’s face,Allah’s Prayers and Peace be upon him, used to looktroubled on seeing the sky filled with clouds, and felt relieved only whenit rained. The first group answered by saying that the verses are conspicuous and there is no place for misinterpretation; the verses threaten theunbelievers and reveal to them that Allah shows up to them incanopies of clouds to judge them on Doomsday, and that is why He saysat the end of the verse, “And the question is thus settled”. (BAQARA, 210). Moreover the verse, “Are theywaiting to see if the angels come to them, or thy Lord Himself or certainof the Signs of thy Lord!” (AN‘AM, 158),is more conspicuous because it can not be interpreted as to mean the anticipation and the coming of the actual torture, as it refers clearly to the coming of the angels, the coming of Allah Himself, and the coming of some of His Signs. They also said that the verse, “And thy Lord cometh and His angels rank upon rank”, can not be interpreted as to mean the coming of torture because what is meant is His Coming on Doomsday for the judgment of everyone, and the angels are then standing rank upon rank in respectto His glorious Majesty. When He comes the sky is split with clouds. Allah, Praise and Glory be to Him, comes, goes, descends, approaches, and He, on His Throne, is invisible from His creation. All these are acts related to the Exalted Self in reality, and any attempt to assume an allegory of these acts will be tendency to drawing a similarity between Him and His creatures.